Our Rotary Wheels for Learning January 2012 Team of Rotarians and Friends from the Gravenhurst and Bracebridge Rotary Clubs (and beyond) gave out 1097 bicycles to needy, rural Cambodian children. But – there are many, many more children in need of a bicycle to cover the miles to school. Some children travel up to 10km each way to get to school. You can be a part of this rewarding adventure by joining our 19-day trip to Cambodia to distribute more bicycles. The trip is planned for January 23nd to February 12th, 2013. Participants pay for their own airfare and ground costs. Approximate cost- $2,500/per person. Limit of 20 participants. 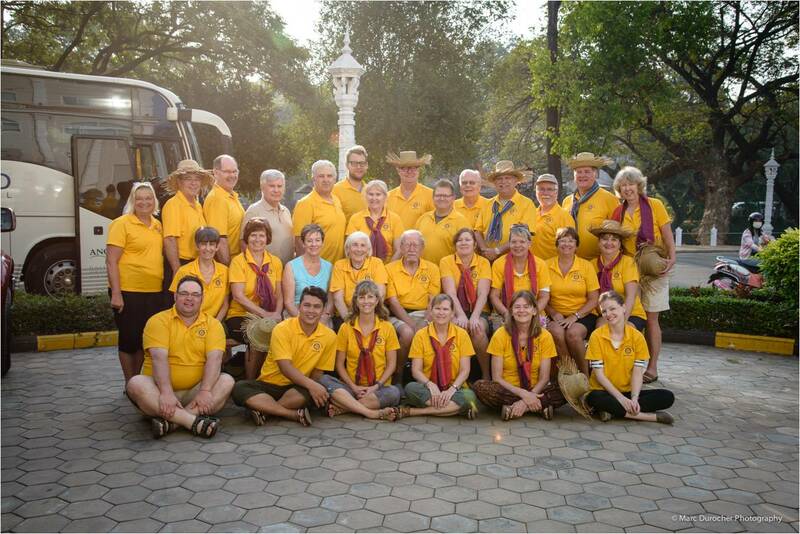 The trip is open to Rotarians and non-Rotarians. On this past January’s trip, we had a university student participate and also a former Rotary Exchange Student – what a great opportunity for youth! 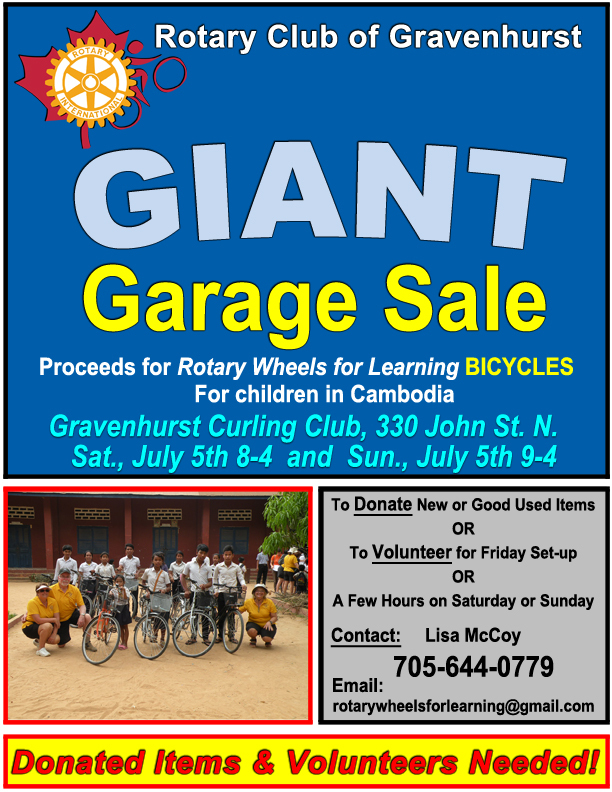 If you are unable to join – please consider sponsoring a bike for a child. Your $50 donation is tax-receiptable in Canada. All donations will go towards our January 2013 distribution. Donors receive a photograph of their sponsored child(ren) and short, biographical information. 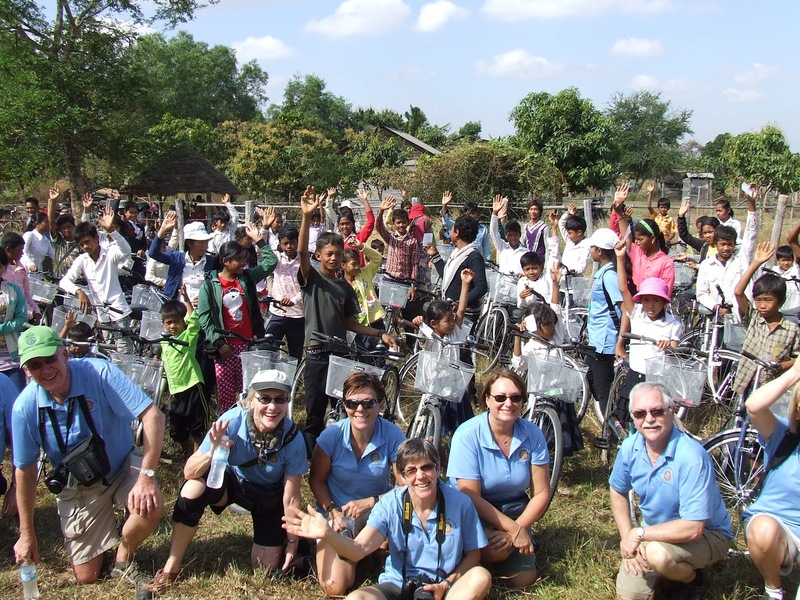 Due to the rise in Malaria, Dengue Fever and other mosquito-bourne diseases in many regions of Cambodia, Rotary Wheels for Learning will be including a quality, treated family-sized mosquito net with each bicycle distributed in January 2013.